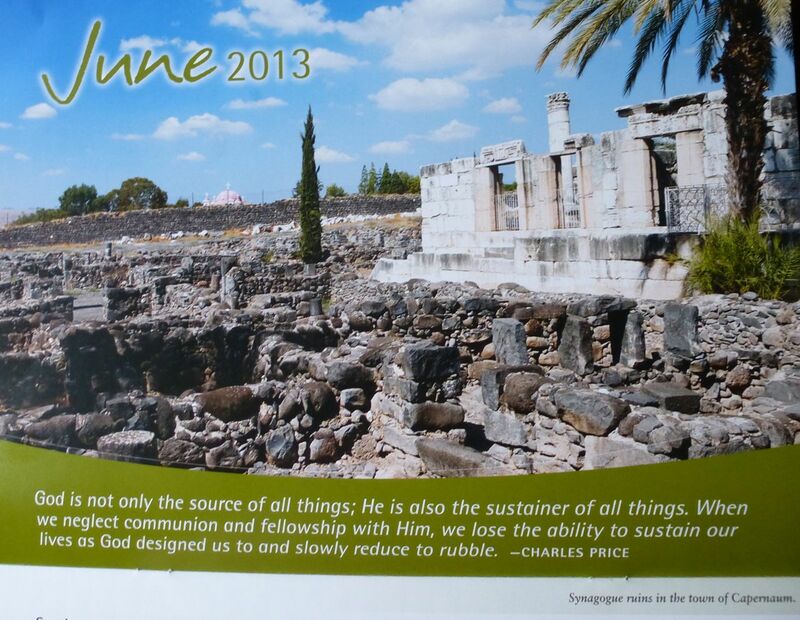 "Synagogue ruins in the town of Capernaum"
Our reading today is a study in Kingdom of God contrasts. Jesus denounced the flourishing cities of Chorazin, Bethsaida and Capernaum for their lack of faith. 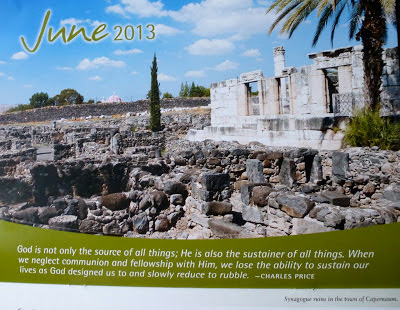 His prediction of Capernaum "…brought down to Hades" is graphically illustrated in the June photo of our Living Truth Calendar with its picture of Capernaum ruins. 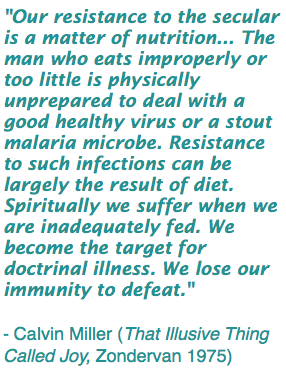 When the seventy returned amazed at their effectiveness over evil spirits, Jesus said, in effect, 'That's nothing. 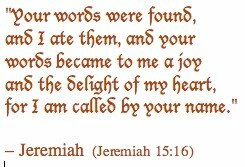 The real reason you should have joy is that your names are written in heaven.' He was pointing out how incredible was God's grace, even more amazing than His power, in that it extended to even them, undeserving as they were. He thanked God for revealing spiritual truth to "babes", i.e. the naive, simple, and trusting, versus the sophisticated "wise and prudent," no doubt referring to the scribes who considered themselves wise in religious matters. He pointed out to the disciples how privileged they were to be witnessing "the things you see," and reminded them of the prophets and kings who "…have desired to see what you see, and have not seen it, and to hear what you hear, and have not heard it" - Luke 10:24. Things may not be as they appear. What flourishes on earth may really be doomed. 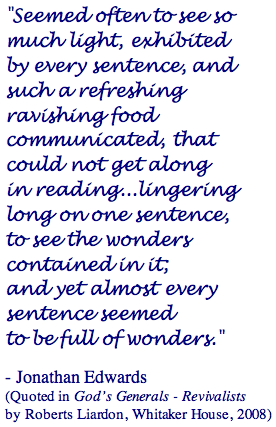 Real amazement is due, not to the power God gives but to the grace He extends. 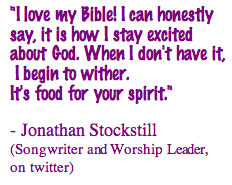 God has His own standard of wisdom and knowledge, and it's available to the simplest person by faith. God's timing is often not our timing. The ancients longed to see the coming of Messiah but were denied while these ordinary unsuspecting folks—fishermen, tax collectors and labourers—were the privileged ones. PRAYER: Dear God, thank You for Your kingdom. Help me to understand it and line up my life with its principles. Amen.